Giovanni Minafra graduated with distinction from the Conservatory N. Piccinni in Bari, in Southern Italy. He played first and second clarinet with the Symphony Orchestras of Bari, Lanciano, Pescara, Fiesole and Alexandria. With the Orchestra of the Teatro Petruzzelli of Bari, Giovanni participated in prominent tours in great international theaters in cities as: Paris, Leningrad, Rio De Janeiro, Cairo, Sydney, Moscow, Lille and San Paolo. Many recordings were made for RAI and other renown record companies, under the direction of noted conductors such as Claudio Abbado, Daniel Oren, Carlo Franci, Evelino Pidò, Janos Acs, Seymour Lipkin, Michele Marvulli, Bruno Aprea, Nicola Hansalik Samale and Donato Renzetti. Minafra is a Director who stirs excitement with his charisma and quality of directions, is considered one of the great conducting talents of Southern Italy. He studied Conducting and Composition with Maestro Franco Ferrara and Maestro Germinario. Giovanni is the author of numerous arrangements for large symphony orchestras as well as compositions and transcriptions performed by symphony and wind orchestras throughout Europe. At the Conservatory Nino Rota of Monopoli, he studied Management and Technical Consultation with Maestro Maurizio Billi. With distinction he graduated in Instrumentation, Coordination and Direction for wind orchestra with Maestro Fulvio Creux in Pescara. For over fifteen years he's dedicated himself to directing wind orchestras of Puglia, Abruzzo and Campania, directing more than a thousand concerts in Italy and abroad. At Competition Atessa in 2008, he won the award for Best Director and the ensemble directed by him won first in its category. In Bergamo, 2010, Giovanni received the Abbiati Prize VIII Edition for the implementation of Cavalleria Rusticana by Pietro Mascagni, from the music critics of the National Association. He was a component of numerous examination boards in several conservatories of music and contests of national and international levels. In 2011 he became the Chairman of the Artistic Commission that annually awards the Orpheo Award in Puglia. 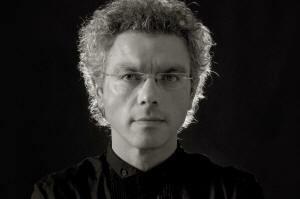 Since 2013 he has been the permanent conductor of the symphony Philharmonic PugliesOrchestra. This year he was honored with an invitation to conduct the Wind Orchestra of Pescara City.